SONGS FROM GOA IN KONKANI"
We welcome you to our website www.songs-from-goa.at which is at your disposal free of charge. Our primary target group are Konkani speaking Indians at home and abroad. Presuming that life in Goa is familiar to them, we have reduced our comments to the songs to a minimum. The Abolem, a flower so dear to a Goan heart, is the logo of this website. 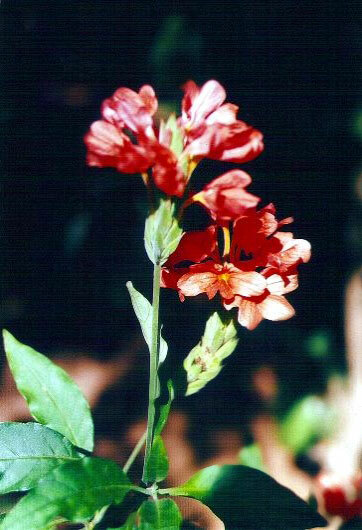 It is known in Latin as Crossandra Undulaefolia. The Mando “Ek dis aum baguint guelolim”, a literary masterpiece of unsaid words, mentions the Abolem as a symbol of love.